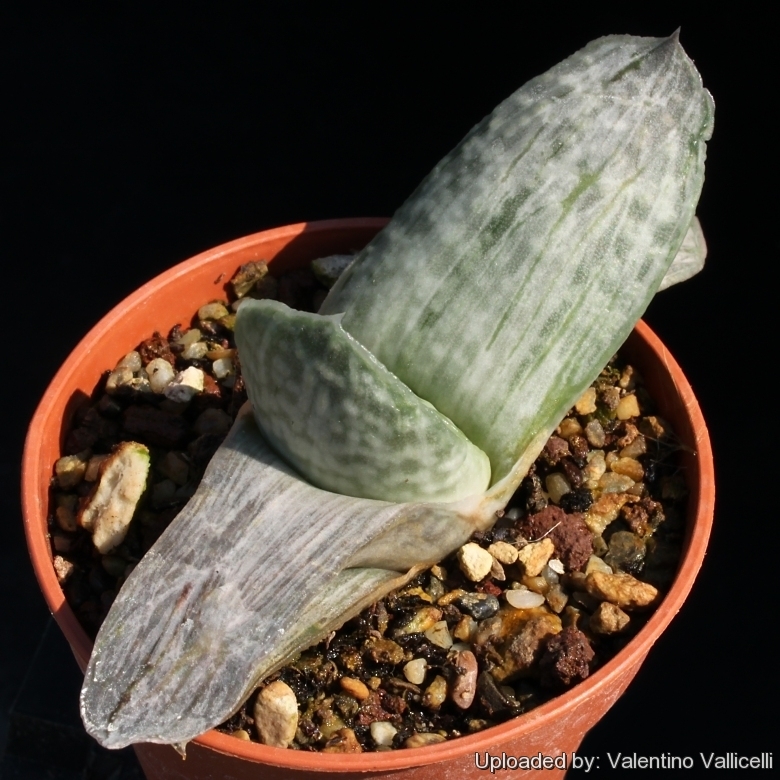 Description: Has fat coriaceus leaves striped with ridged surface of gray-silver and ivory. 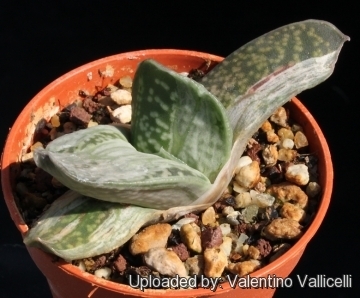 Cultivation and Propagation: It is of easy culture and can grow on window sills, verandas and in miniature succulent gardens where it is happy to share its habitat with other smaller succulent plants, or in outdoor rockeries. Growth rate: It is a relatively slow-growing plant that offsets to form in age small clusters..